Playsaurus, the developers behind Clicker Heroes, have been threatened with legal action by a company claiming to hold a patent for the use of “electronic tokens.” GTX Corp say that Clicker Heroes infringes on that patent, and are threatening a lawsuit if Playsaurus do not pay a $35,000 license fee. Wolfley believes GTX Corp are targeting his company and other small developers without the resources necessary to easily fight patent claims. 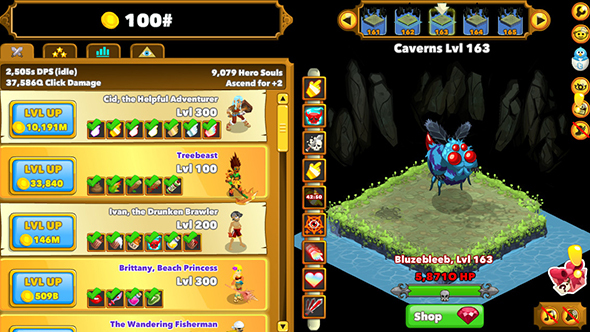 The upcoming Clicker Heroes 2 will drop the previous game’s free-to-play model, due to “ethical reasons” including players dropping thousands of dollars on in-game currency.